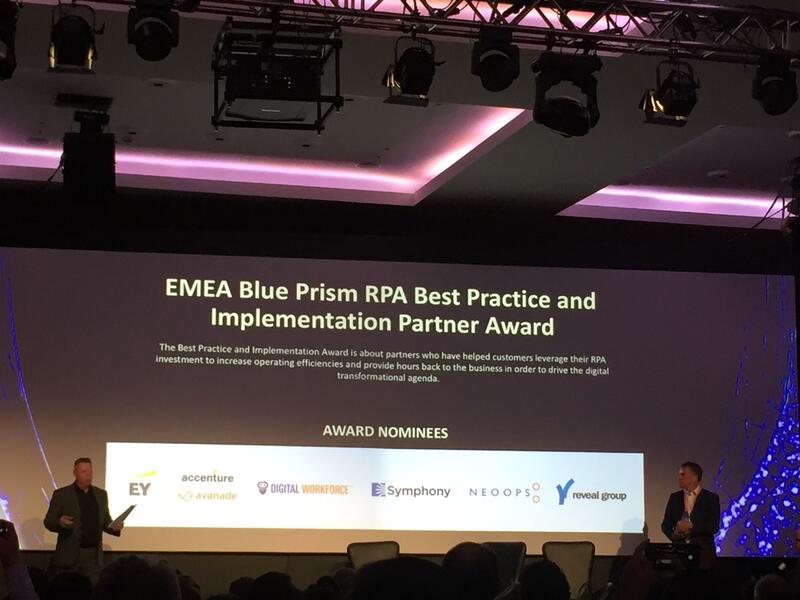 NEOOPS was recognized as the winner of EMEA Blue Prism Best Practice and Implementation Partner Award for 2018 at Blue Prism Conference in London on June 12th. We were honored to be among such nominees as EY, Accenture, Digital Workforce, Symphony and Reveal Group in this category. 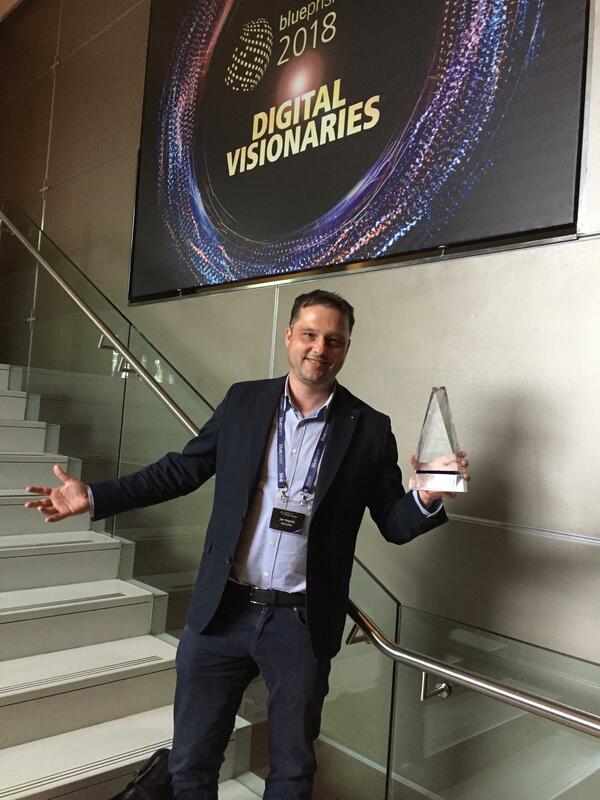 As Pat Geary, Blue Prism Chief Evangelist (former Blue Prism Chief Marketing Officer) stated: “You don’t have to be a big company to make a difference”. 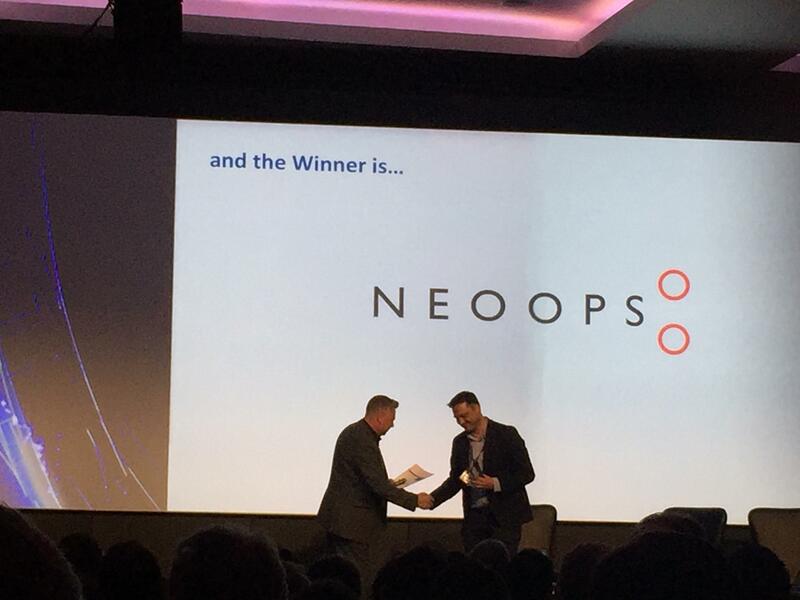 We would like to thank all our clients for choosing NEOOPS to be their partner on the RPA journey. 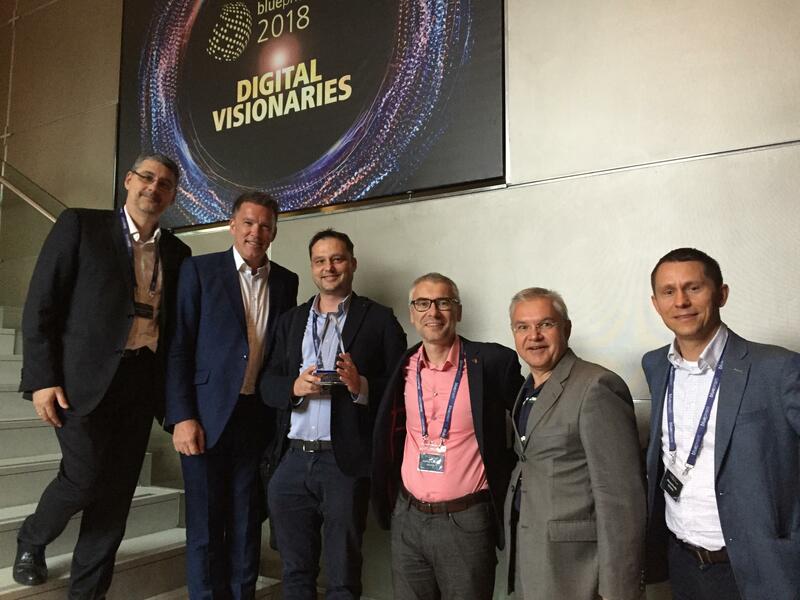 Also, our thanks go to our partners: Lukas Reha (Datlowe), Marcos Navarro Alcaraz (Antites), Darek Mazurek (Digit.on) and Peter Ilgo (Automation COE) for their immense contribution. We truly appreciate this award and we take it as even bigger commitment to keep up with delivering the highest standards possible going forward.